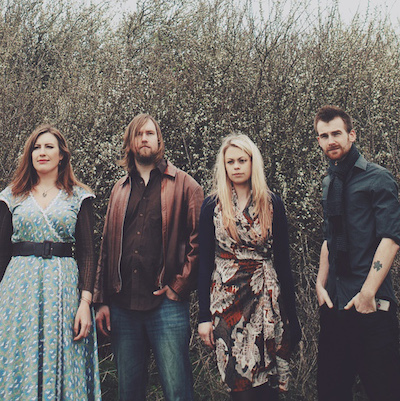 The Willows are a folk roots band from Cambridge, UK. The band shot to prominence when their debut album Beneath Our Humble Soil was championed by legendary BBC DJs Mike Harding and Bob Harris, who subsequently invited them in for a BBC Radio 2 live session. Considerable national acclaim followed including 4.5 stars in Maverick and a Spiral Earth Award nomination for Best Debut. Their follow up 'Amidst Fiery Skies' (produced by Sean Lakeman) received a 5-Star review in the Telegraph and a spot in their albums of the year. With numerous festival appearances from Cambridge to Glastonbury they grew a reputation as one of the UK's most exciting live acts and were nominated for Best Band in the 2014 FATEA awards. Their new line-up is bursting with vocal and instrumental talent from across the UK roots scene. Stylistically the band continue to take in influences from folk, Americana and rock traditions and meld them through their own engaging songwriting. Although it has to be said this line-up and album has more of the power and edge of their live shows than either predecessor. Lyrical songwriting is once again at the heart of the record... Initially direct and personal, the angst-ridden Americana opener Coda is offset by the beautifully optimistic Better Days. Perfect Crime drives home a tale of identity fraud during the Great War; Pearl Hart of a notorious 19th century highwaywoman; and the heartbreaking ballad Out of Our Hands laments the horrors of the battle of Solferino. Fronted by the distinctively tender vocals of Jade Rhiannon the band adds Katriona Gilmore (Gilmore & Roberts, The Albion Band) on fiddle to their line-up along with Ben Savage (Hannah Sanders & Ben Savage) on guitar/dobro, Evan Carson (Sam Kelly, Seth Lakeman) on drums/bodhran and Cliff Ward on banjo/guitar.